Re: Dude...it’s NOT a Formula. You Camaro guys run into similar issues with sellers passing off RSs and SCs as “IROCs” I’m sure. Few things more frustrating than these situations. Older guy took a 91 Firebird Vert and put an 80's GTA front end on it including emblems, but also fender vents, and horrible Walmart chrome strips along the wheel well and kept trying to tell me it's a "super rare grand touring edition". 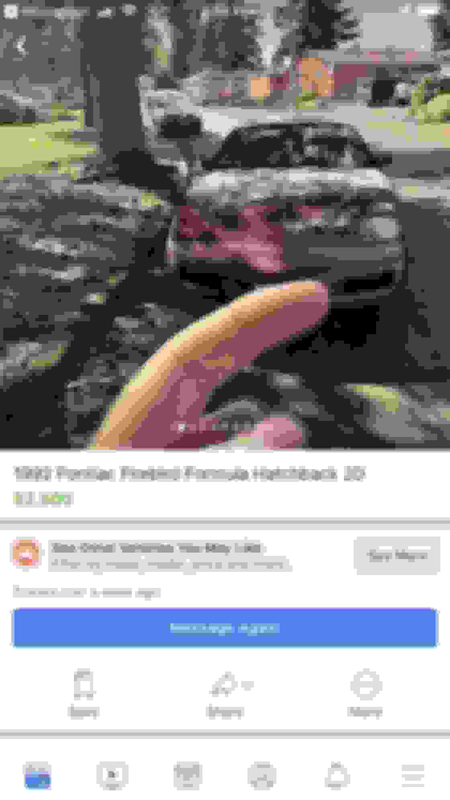 Any pics of the car you're referring to? So what was he seeing in his build sheet that made him think it was a Formula? It’s not a Formula. Not from anything in pics. 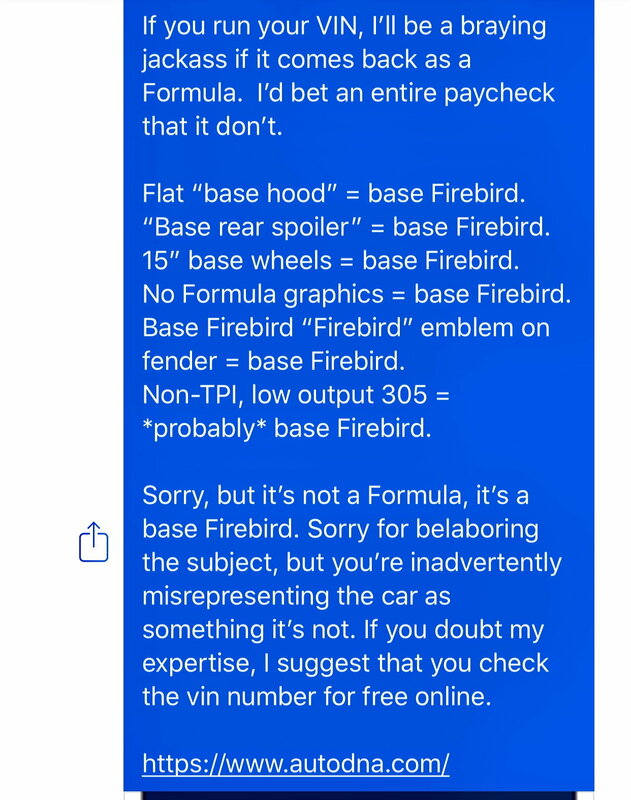 Don't count the engine against it, my Formula (and I have the numbers to prove it) came with the base LO3 V8 but no that is not a Formula unless someone added/changed all the cosmetics for whatever reason. Aaaand...given the apparent condition of the car, what was he seeing that made him think he was looking at a “build sheet”? But...more like definitely, given the totality of the circumstances. I see this with Camaros quite a bit too. 92 Iroc.....82 Iroc....and everything in between. But I'll be honest, buying a 30 year old car....the responsibility is really on the buyer. If you just want a rolling chassis for a race car who cares, BUT....if you really want a Formula...or an Iroc....it's really on you to know what to look for. Obviously HERE....on TGO...most of us know what we're looking at. 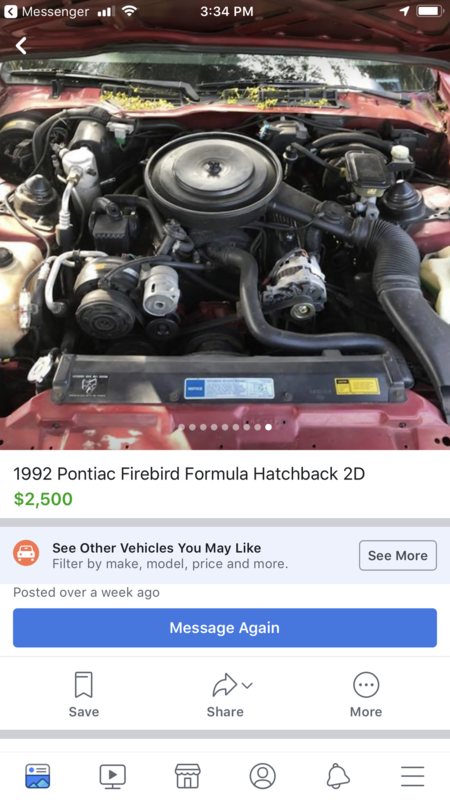 Don't get me wrong, it doesn't make misrepresenting a car the right thing to do, but, half the time I think the sellers really have no idea, and then get defensive when they realize they don't even know what kind of car they have. When you start getting into the higher dollar cars, that's when you start to see the nasty come out in people and really have to watch out. This guy though....bah.....just an honest moron probably, lol. 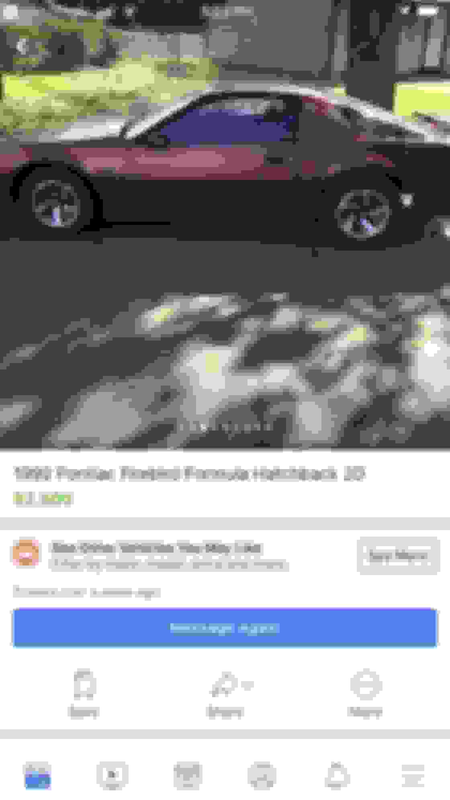 Seller, I ran the VIN and its a formula and the DMV says its a formula too. I See this all the time, people just don't know. Then you get mixed breeds like mine after 30 yrs, Camaro rear end, Trans -Am wheels,ground effects + emblems, GTA tail lights, Formula hood,etc... 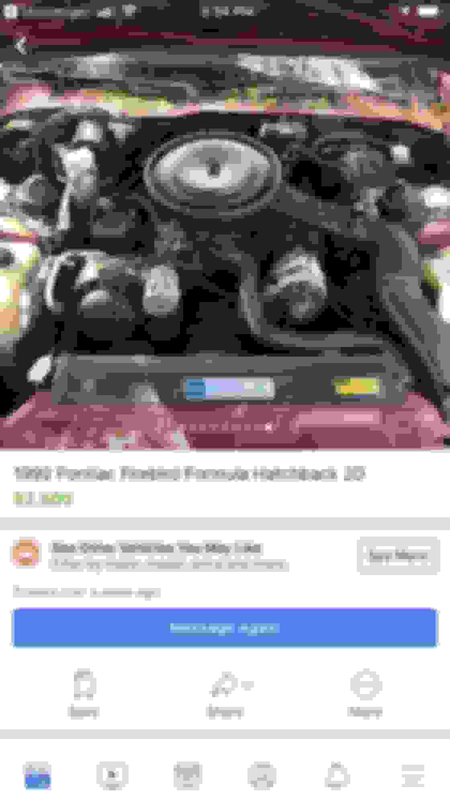 I just list it as a Pontiac even though its actually a Formula. lol. I do hate to see a car mis represented as its for sale but us that know these cars we know. 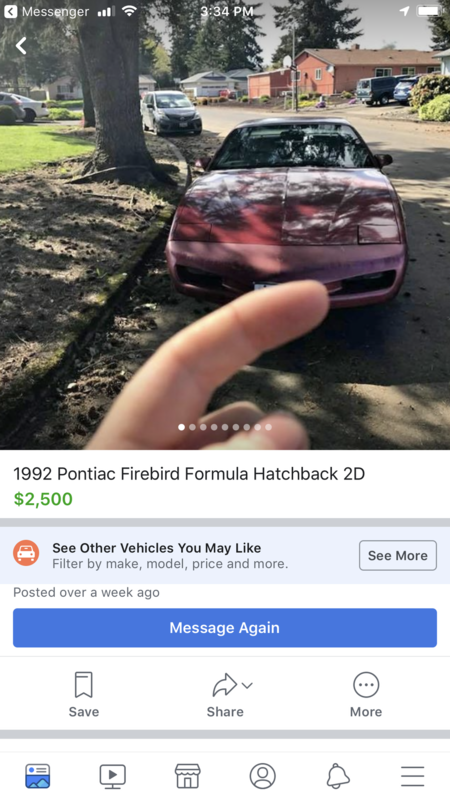 1) The car is obviously a base Firebird, as we can all see without question. 2) He indicates that he has a "build sheet" for the car in his possession. There is just no f-ing way. 2a) The car obviously is and most likely always has been...a beater. It has not been extensively modified, and therefore there can be no "build sheet" for any extensive modifications. 2b) The car obviously is and most likely always has been...a beater. Given the car's overall condition and the life that it can be reasonably deduced that it has had, I think it is HIGHLY UNLIKELY that the original build sheet from the factory or dealer window sticker are items that are still with this car. All the time. When I was shopping for my IROC, I found tons of them. One guy had a used car lot in another state...claimed it was an IROC convertible (it was an RS). Carfax not only told a different story, I also discovered the car had been totaled nearly 10 years earlier. He'd been driving it with a "dealer" tag all that time, because it was unregisterable as anything other than "salvage". Got pretty offended when I pointed that out, too. He actually argued it really didn't matter...his fake totaled IROC was absolutely worth $8000.00. About a week later, I bought an L98 '88 IROC. I had an 87 T/A I bought and thought it was a GTA for the longest. Had the right badges, steering wheel, map pocket, TPI engine, digital dash, etc. The fender vents gave it away but I didn't know it when I bought it. That was my fault, if I had been on these boards back then I would have known. That's the great thing about TGO, knowledge. Ive learned so much here and can just read up on these builds all day and never get tired of it. At $2500, who cares? 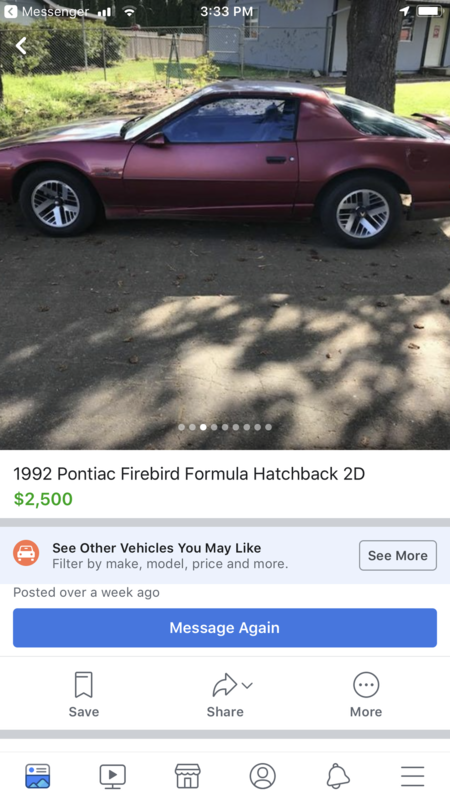 It's not like he's trying to sell the car for $10k plus because it's a Formula. yea that would be a base car, or possibly a formula that was wrecked and put back together with base parts... But it looks pretty clean for what it is. Could you not get the 92 formula with the L03? So it doesn't seem to require the aero W62 or the formula value package-- though I've never seen a formula without it. The only thing in that list that would be hard to change out would be the cluster... get a picture of that does it have the trip odometer? It would have to have WX1 which deletes the two tone. Any chance he sent you a picture of the build sheet or the RPO sticker in the console? 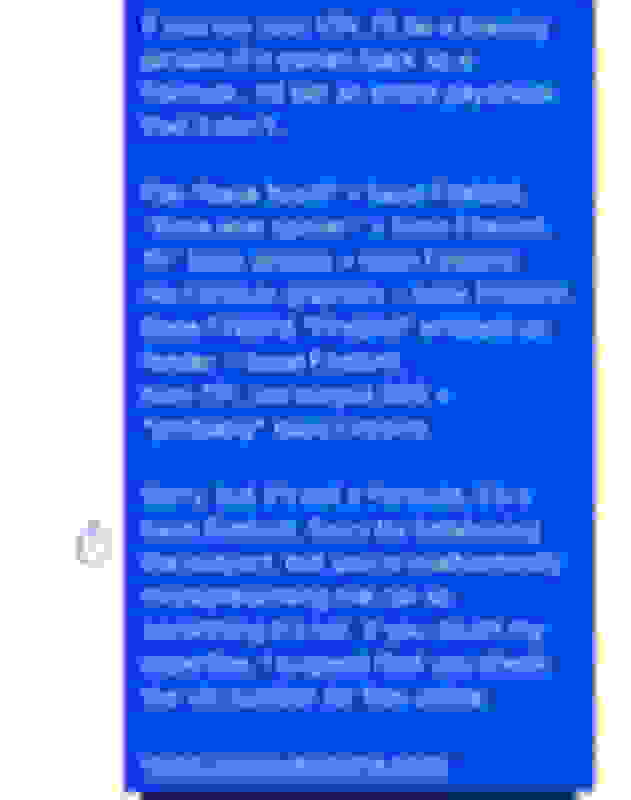 Last edited by Aviator857; 11-09-2018 at 02:06 PM. I've never seen a Formula with ground effects. It's a lot of extra work to add those as well. I'd like to see the RPO sticker. If it 'is' a Formula, someone went to great lengths to destroy it! im not playin this dude just gave it 2 me what do i do now? Ultimate Audio Site, this dude rocks!!!! Saw some dude spray painting his spoiler this morning. Quick Reply: Dude...it’s NOT a Formula.